Posted on Mon, Feb 27, 2012 : 5:46 a.m.
Altan plays The Ark on Sunday. It’s probably safe to say that Altan is the greatest trad-Irish band of the last 20 years or so. However, they don’t always hew strictly to tradition. While many of their songs are sung in Gaelic, many others are in English. And they sometimes perform Celti-fied versions of songs from other genres, like American folk music, and on some of their wistful ballads and airs, they’re not shy about employing a more ambient-Celtic production style if they feel that the song calls for it—almost always to wonderful effect. Altan long ago earned its rep as an Irish supergroup, given how supremely talented the individual members are. And the first among equals is Mairead Ni Mhaonaigh, whose ethereal vocals often lend the ballads a haunting quality. She’s also an ace fiddler, and often engages in fiery exchanges with fellow fiddler Ciaran Tourish on the reels and jigs. Accordian player Dermot Byrne provides nimble, exciting counterpoint and texture, as do bouzouki player CiarÃ¡n Curran and guitarists Daithi Sproule and Mark Kelly. Sproule, who also has a successful solo career, is a gifted songwriter and singer as well. A couple of years ago, Altan released "25th Anniversary Celebration," featuring the band playing its most popular songs and tunes, backed by an orchestra. But they hadn’t released an album of new material since 2005, so their fans have been understandably champing at the bit for something new. Who: Probably the greatest trad-Irish group of the last 20 years. What: Lively, high-stepping reels and jigs, bolstered by twin fiddles, as well as gorgeous ballads. When: Sunday, March 4, 7:30 p.m.
How much: $25. Tickets available from The Ark box office (with no service charge); Michigan Union Ticket Office, 530 S. State St; Herb David Guitar Studio, 302 E. Liberty St. or online from MUTO. They'll get it on Tuesday, when the group releases “Poison Glen.” For the new disc, says Ni Mhaonaigh, “we wanted to go back to the core sound, to the sort of energy and atmosphere we have in our live shows, and with less production.” By that she doesn’t necessarily mean that recent Altan albums were over-produced, “but it was heading that way, with the orchestra album,” says Ni Mhaonaigh, who joins her bandmates at The Ark on Sunday. 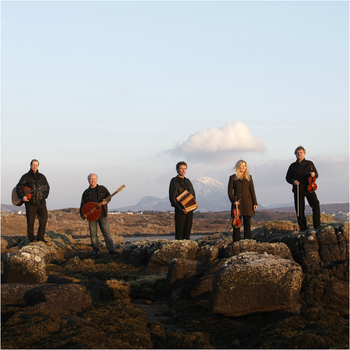 Altan has always taken pride in playing music that reflects their County Donegal environs, in northwest Ireland. That part of the country is rocky and rugged, with craggy bluffs overlooking the ocean, and where the surf pounding against those bluffs provides the rhythmic backdrop for daily life along the coast. “We love playing the reels and jigs from this region,” says Ni Mhaonaigh by phone from her home in northwest Donegal, on an ithsmus that, centuries ago, was an island. “There is a great beauty to the rugged landscape here—like the beauty of the sun going down over the bluffs, and over the ocean. On “Poison Glen,” the group showcases the Donegal fiddling style on a set of jigs that can be traced back many generations to the Donegal fiddlers of bygone eras. The lilting, rhythmic and melodic jigs “A Fig for a Kiss,” “The Turf Cutter” and “The Lancers Jig” all come from that tradition. “Those all came down to Donegal from Scotland, a few hundred years ago,” she notes. The jig “The Further in the Deeper” and the reel “The Wheels of the World” are also tuneful and lively, in a way that seems to reach into the ether and conjure spirits from the past. The seductive “Lily of the West,” meanwhile, is a well-known song in folk-music circles, American in origin, that came to Donegal via Arranmore Island in Ireland. Altan are at their most exciting when Ni Mhaonaigh and Tourish are engaged in a spontaneous and intuitive fiddle interplay. “We love the two-fiddle sound, which is also a very old tradition in Donegal,” says Ni Mhaonaigh. “My attitude is, ‘The more fiddles, the better.’ In most Donegal groups, one fiddler plays in a certain key, and the other plays an octave higher or lower, to spread out the sound. “With us, it’s usually me sticking to the main tune, the melody, while Ciaran plays off of the tune, and accents it, and plays different chords, as does Dermot on the box. Sometimes, I’ll go off, and they respond by going back to the melody, to make sure we’re keeping in time and don’t go off into chaos,” she says with another laugh. As a musician who plays in a traditional style, Ni Mhaonaigh knows the import of staying true to the tradition—but also providing immediacy by bringing something of herself to the music. Kevin Ransom is a free lance writer and critic who covers music for AnnArbor.com. He can be reached at KevinRansom10@aol.com. Mon, Feb 27, 2012 : 1:56 p.m. When I think of Irish bands, I think of &quot;Cheers&quot; on St. Patrick's Day. The Irish band sang one Irish lament after another, making the customers gloomier and gloomier. Finally, after they started another, Sam said, &quot;That's it.&quot; and he ushered them out the door. Ireland loves laments and Russia loves dirges - do they have any cheery music?